The Companies Act, 2013 has given due recognition to Nidhi Companies by treating them as a special class of companies. An entire Chapter, namely Chapter XXVI has been devoted to Nidhi Companies and relevant Rules also notified for them. Section 406 of the Act defines a Nidhi to mean “a Company which has been incorporated as a Nidhi with the object of cultivating the habit of thrift and savings among its members, receiving deposits from, and lending to, its members only, for their mutual benefit, and which complies with such rules as are prescribed by the Central Government for regulations of such class of Companies. Apart from the rules which were specially notified in relation to Nidhi Companies, all other provisions of the Act applied to them in the same way as to any other company. Hence a need was there to grant certain reliefs to these special class of companies. Nidhi Companies are much popular in South India and are highly localized single office institutions. Those are mutual benefit societies, because their dealings are restricted only to the members and membership is limited to individuals only. The principal source of funds is the contribution from the members. The loans are given to the members at relatively reasonable rates for purposes such as house construction or repairs and are generally secured. The deposits mobilized by Nidhi’s are not much when compared to the organized banking sector. However, with the increasing restrictions of RESERVE BANK OF INDIA on NBFC Companies, the promoters have started moving towards incorporating the Nidhi Companies these days which have given a boom to the Nidhi Companies. Relation with Reserve Bank of India: Since Nidhi’s come under one class of NBFCs, RBI is empowered to issue directions to them in matters relating to their deposit acceptance activities. However, in recognition of the fact that these Nidhi’s deal with their shareholder/ members only, RBI has exempted the notified Nidhi’s from the core provisions of the RBI Act and other directions applicable to NBFCs. As on date (February 2013) RBI does not have any specified regulatory framework for Nidhi’s. (iii) Every company incorporated as a Nidhi pursuant to the provisions of Section 406 of the Companies Act, 2013. A Nidhi shall not accept deposits exceeding 20 times of its Net Owned Assets as per last audited financial statements. The fixed deposits shall be accepted for a minimum period of 6 months and a maximum period of 60 months. Recurring deposits shall be accepted for a minimum period of 12 months and a maximum period of 60 months. In case of recurring deposits relating to mortgage loans, the maximum period of recurring deposits shall correspond to the repayment period of such loans granted by Nidhi. The maximum balance in a savings deposit account at any given time qualifying for interest shall not exceed Rs.1,00,000/- and the interest shall not exceed 2% above the rate of interest payable to savings bank account by nationalized banks. Interest for fixed and recurring deposits shall be at a rate not exceeding the maximum rate of interest prescribed by RBI which the NBFC can pay on their public deposits. Every Nidhi shall invest and continue to keep invested, in unencumbered term deposits with a scheduled commercial bank or post office deposits in its own name an amount which shall not be less than 10% of the deposits outstanding at the close of the business on the last working day of the second preceding month. In case of unforeseen commitments, temporary withdrawal may be permitted with the prior approval of the Regional Director for the purpose of repayment to depositors, subject to such conditions and time limit which may be specified by the Regional Director to ensure restoration of the prescribed limit of 10%. (v) Rs. 15,00,000/- where the total amount of deposits from its members is more than Rs.50 crores. Nidhi’s which have adhered to all the provisions of these rules may provide locker facilities on rent to its members subject to the rental income from such facilities not exceeding 20% twenty per cent of the gross income of the Nidhi at any point of time during a financial year. 11. Pay any brokerage or incentive for mobilizing deposits from members or for deployment of funds or the granting loans. (a) A Nidhi shall not admit a body corporate or trust as a member. (b) Except as otherwise permitted under these rules, every Nidhi shall ensure that its membership is not reduced to less than 200 members at any time. A minor shall not be admitted as a member of Nidhi. However, But deposits may be accepted in the name of a minor, if they are made by the natural or legal guardian who is a member of Nidhi. (i) A Nidhi may open branches only if it has earned net profits after tax continuously during the preceding three financial years. (ii) The company may open up to 3 branches only within the district. (iii) If it proposes to open more than 3 branches within the district or any branch outside the district, it shall obtain prior permission of the Regional Director and intimation is to be given to the Registrar about opening of every branch within 30 days of such opening. (iv) No Nidhi shall open branches or collection centers or offices or deposit centers, or by whatever name called outside the State where its registered office is situated. (v) Further branches or collection centers or offices or deposit centers shall be opened unless financial statement and annual return are filed with the Registrar. Within 90 days from the closure of the first financial year after its incorporation in Form NDH – 1 along with such fee as prescribed with the Registrar duly certified by a Company Secretary in practice or a Chartered Accountant in practice or a Cost Accountant in practice. If the company is not complying with the above it shall within 90 days from the close of the first financial year, apply to the Regional Director in Form NDH -2 along with fee for extension of time and The Regional Director may consider the application and pass orders within 30 days of the receipt of the application. If there is failure the Nidhi shall not accept any further deposits from the commencement of the second financial year till it complies with the provisions besides being liable for penal consequences provided in the Act. 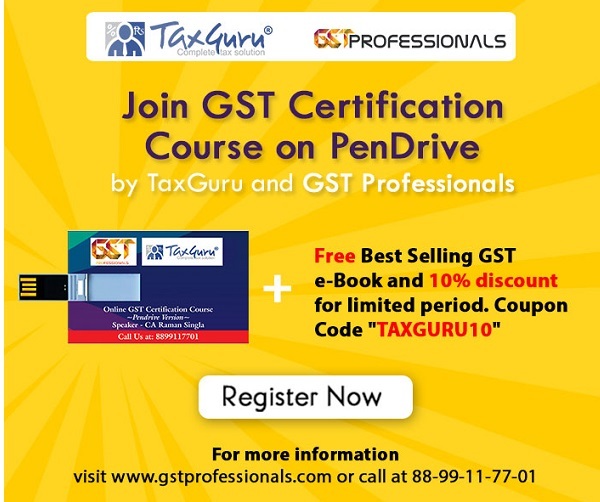 If a company contravenes any of the provisions of the rules the company and every officer of the company who is in default shall be punishable with fine which may extend to Rs.5,000/- and where the contravention is a continuing one, with a further fine which may extend to Rs.500/- for every day after the first during which the contravention continues. CONCLUSION: The core point which has been derived from this article drawn is that now the Companies Act 2013 has given the utmost importance to the Nidhi Companies also and has ease the procedure of incorporation which has brought the interest of promoters towards incorporating the Nidhi Companies instead of incorporating and working under huge NBFC Companies which require following of a no. of RBI Compliances too. With a small funding a normal business man can also now start Nidhi Companies and enjoy the business of Financing without following the RBI compliances but restricted to Companies Act Compliances. However, the Companies Act compliances also put a no. of restrictions which need to be followed otherwise these companies are always in eyes of Regulators to penalize and wind up as huge no. of investor and public is involved in such companies.